We are disturbed by attempts in Germany to impose political conditions on artists supporting Palestinian human rights. 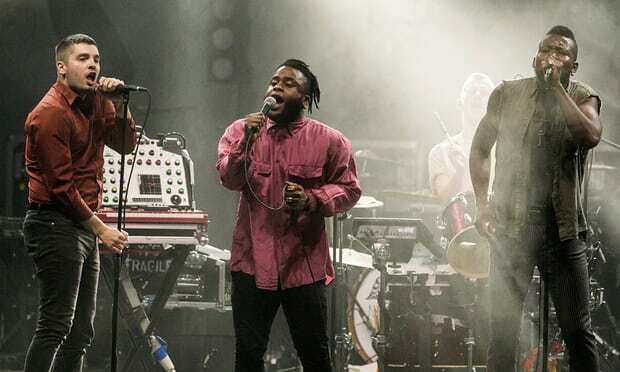 We are glad that the international outcry has convinced the Ruhrtriennale arts festival to reverse its repressive decision to cancel a performance by the Young Fathers, after they refused to distance themselves from the global Boycott, Divestment and Sanctions (BDS) movement for Palestinian rights. We stand firmly against all forms of racism and identity-based discrimination, including anti-blackness, sexism, antisemitism, Islamophobia and homophobia. Conflating nonviolent measures to end Israel’s illegal occupation and human rights violations with anti-Jewish racism is false and dangerous. It denies Palestinians their right to peaceful protest and undermines the struggle against antisemitism. While we may hold diverse views on BDS, we are united in considering it a lawful exercise of freedom of expression. Boycotts that are anchored in universal human rights and aimed at achieving justice for marginalised and oppressed communities are a legitimate nonviolent tactic. They have been used worldwide, including against apartheid in South Africa and the Jim Crow segregation laws in the US. This is the view of the EU, hundreds of US rabbis, the International Federation for Human Rights (FIDH), the American Civil Liberties Union (ACLU), and hundreds of European NGOs.